Make a statement by the pool or at the beach. 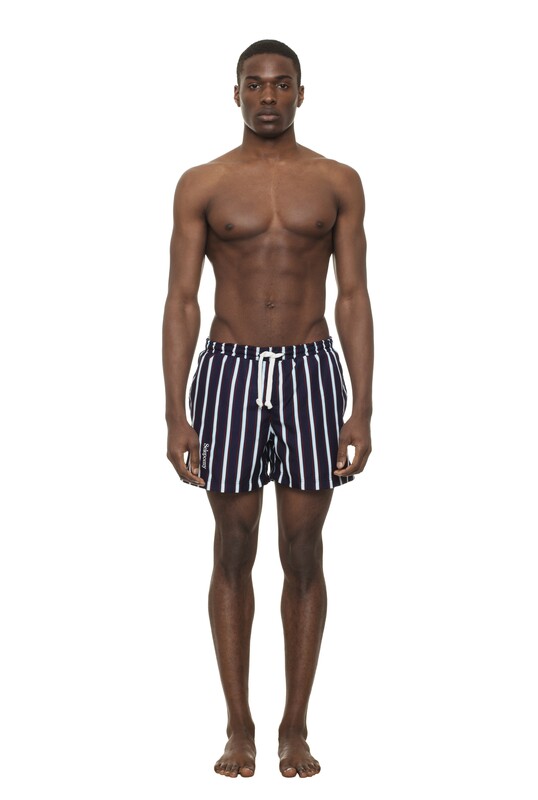 These multi-coloured stripes define these swim trunks crafted from quick-drying polyester in an updated mid-thigh length. 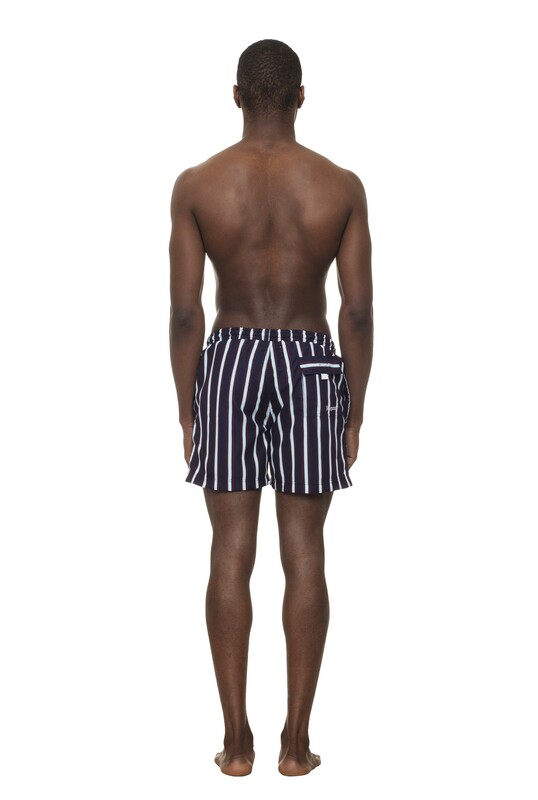 The elasticated waistband ensures a comfortable fit. Made in Europe.